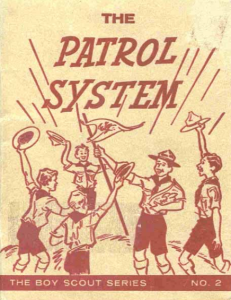 The Patrol System was published by the General Council Boy Scouts of Canada in 1960 and is available in PDF format here (do make sure to check out The Dump). The principles of the Patrol System were first introduced by the Founder, Baden-Powell, when he was with the British Army in India. 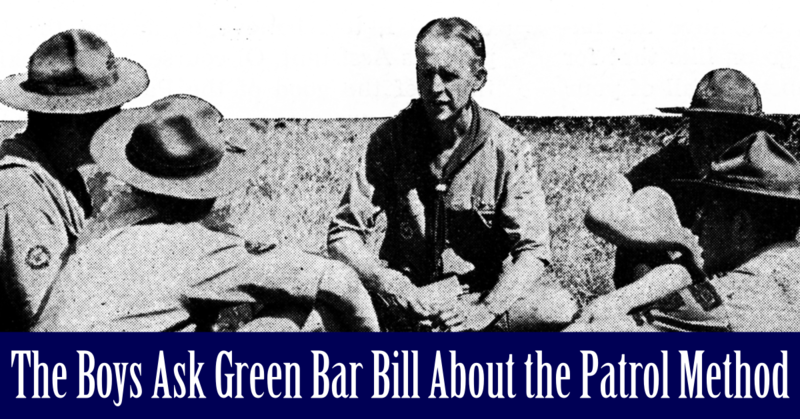 The system he devised enabled soldiers to operate in small groups and use their own initiative within the overall plan of campaign … the Patrol System became one of the basic elements of Scouting. The Patrol System not only gave a real adventure aspect to the program and responsibility to boys themselves, but it also blended perfectly with the natural desire in boys to form into gangs in their neighborhoods and schools. It was these very gangs which met in the streets who spontaneously formed themselves into Patrols and started Scouting. Today’s patrols are arranged by mutual choice by Scouts who may live a fair distance from each other and the only way they can get together is by being driven to the meeting place. This has a significant influence on when and where patrols can meet and the involvement of adults in these meetings. Note too that, when Scouting began, that patrols led to troops. Troops are a handy way of organizing patrols, but patrols and the concerns of patrols comes first. What was it then which so appealed to boys and accounted for the phenomenal growth of the Movement? It was a combination of the appeal of real adventure offered by the program, coupled with the challenge it offered to the “Gang” to plan it’s own activities and to be responsible to itself for discipline, without interference from adults. Scouts lives are more scheduled and managed today than in the past. Our concerns for their safety and the appropriateness of their activities has led us to often undue interference. The troop and its adult leadership needs to back off a bit and give the patrol a fair amount of autonomy. Patrol. Your Patrol must know the fun of planning and executing its own adventures, it must make its own decisions and learn to profit by its own mistakes. Thus, collectively, the Patrols are responsible for Troop standards and behavior. Responsibility for this falls squarely on the shoulders of you, the Patrol Leader, although each member of the Patrol must play his part. 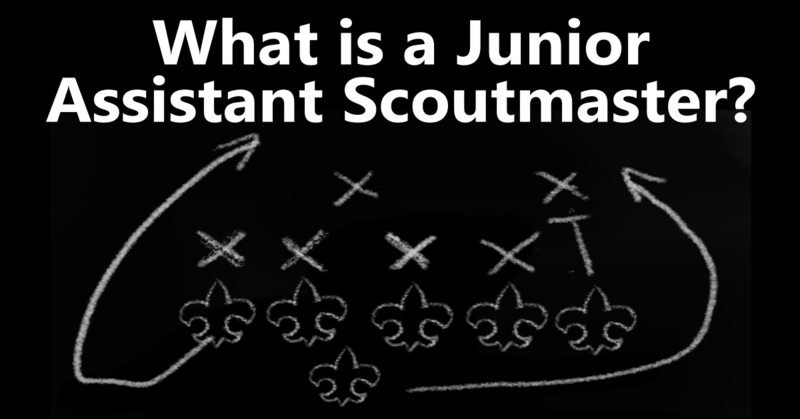 When the first Scout patrols were formed, there was no such thing as a Scoutmaster, but boys soon found they needed help and advice from someone older in order to carry out the more adventurous activities. 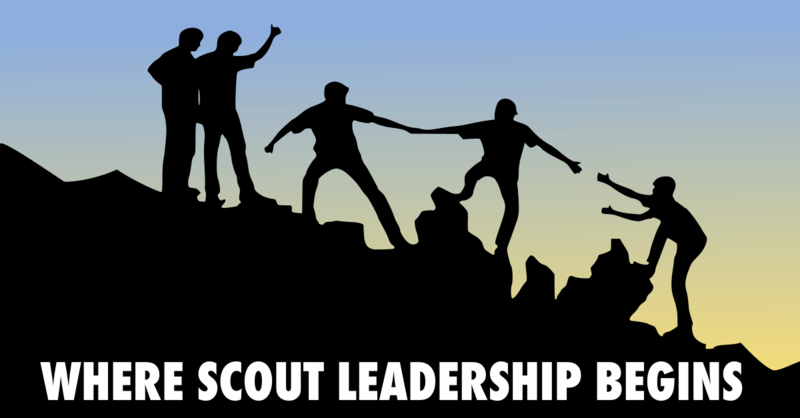 It is important that your Patrol makes its own plans and works out its own problems; turning only to the Troop Scouters for advice, new ideas and guidance: someone who can do things for you which are beyond the Patrol’s powers.